Our mystery seeds from last week faintly resemble caterpillar droppings. 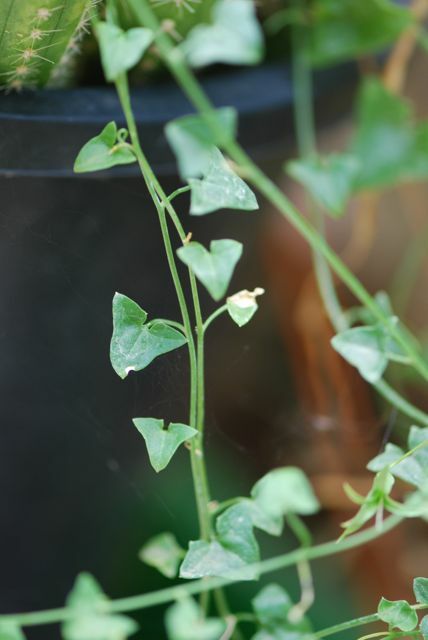 They are seeds, however, and grow into a plant called a snapdragon vine, Maurandya antirrhiniflora. 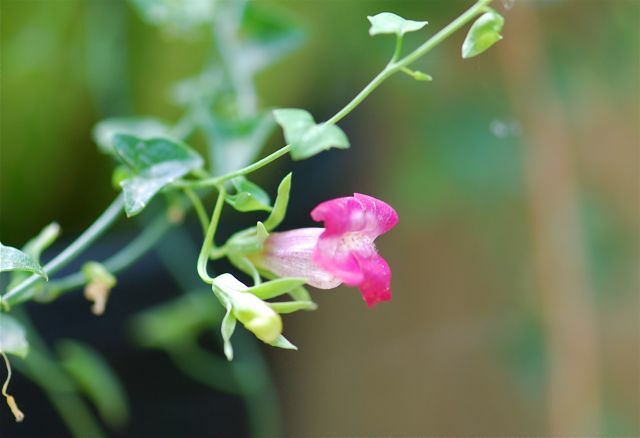 Snapdragon vines are delicate twining plants with magenta, fuschia, or even dark purple flowers. They get their name from the fact the flowers resemble snapdragons. The vines are native to the Southwest. The leaves are triangular, almost arrowhead shaped. 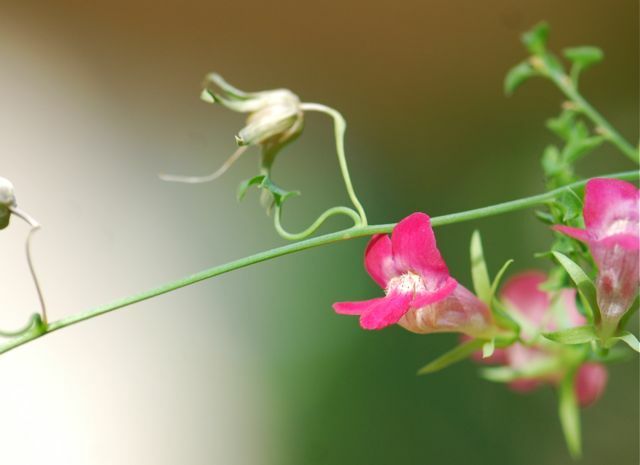 Snapdragon vines grow well with a trellis or other support, or trailing from a hanging basket. The best part is that the plants form seed capsules and then readily reseed, ensuring many years of viewing pleasure. 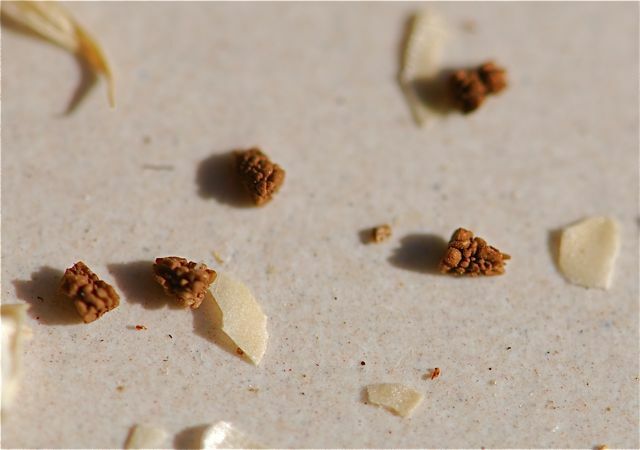 Who would have thought such unattractive seeds could become such a lovely plants? Have you ever grown snapdragon vines?